Fully Custom Home with 6 car garage (1,800 sq.ft. ), 4 carport spaces, and 2 covered RV spaces (2,250 sq.ft.). 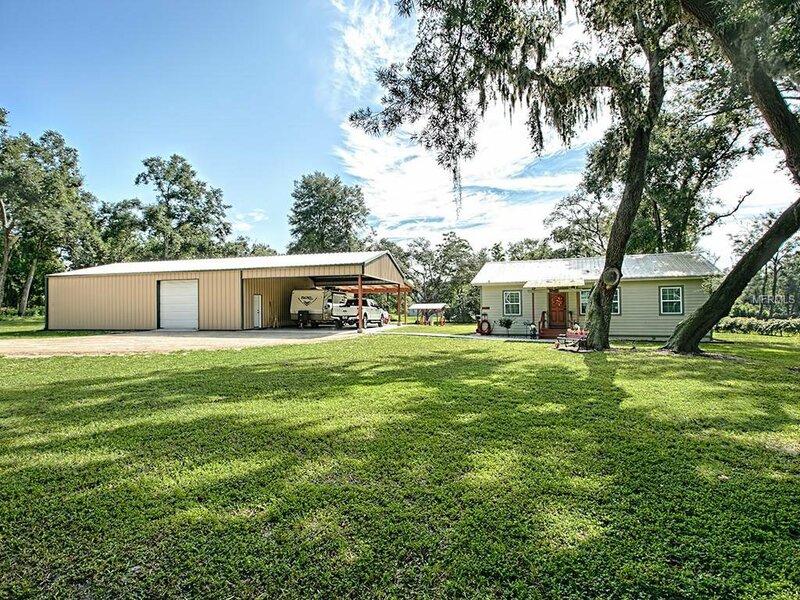 Rebuilt from the slab up in 2014 this rustic style 3 bedroom 2 bathroom home is a car collector’s or contractor’s dream. The home features completely new (2014) plumbing, electrical, septic, well, windows, doors, roof, kitchen, and bathrooms. Upgrades include granite, crown molding, ceiling fans, and bamboo floors throughout. The garage is built from red iron and metal materials to protect your investments, has a 5” thick poured concrete floor ready for your lift, and includes a half bathroom. Bring all your toys to this amazing property! Listing courtesy of ERA GRIZZARD REAL ESTATE. Selling Office: PREFERRED RE BROKERS III.